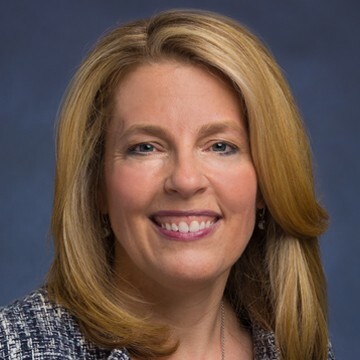 Melissa Smith | Leadership | About | WEX Inc.
Melissa began with WEX in 1997 as a senior financial analyst for the global corporate payments company. She worked her way through numerous roles, including CFO and president of the Americas, and now holds its most senior position. Melissa led the company’s IPO in 2005 and has continued to spearhead WEX’s dramatic growth, both organically and through acquisitions. Born and raised in Maine, Melissa was recognized as Mainebiz’s 2012 Woman to Watch and 2017 Business Leader of the Year. She won the tribute to Women in Industry Award from the Maine Women’s Fund in 2015. She was also named PYMNTS.com’s Most Innovative Woman in Payments in 2014 and PaymentsSource’s Most Influential Woman in Payments in 2014. Melissa participates in extensive nonprofit work, including co-founding the Executive Women’s Forum as well as sponsoring and participating in Tri for a Cure. In 2010, Melissa co-founded sheJAMS, an all-women training club that allows women to train together in a non-competitive spirit. Additionally, she serves on the Maine Health Board of Directors, Dead River Company Board of Directors and is a former board member of the Center for Grieving Children. Melissa earned a bachelor’s in business administration from the University of Maine. For me, it’s all about the people. I take the most satisfaction in creating and maintaining a great corporate environment in the midst of all our growth. I want to continue to make WEX a place where people really enjoy their work and are encouraged to grow and succeed. Why have you decided to stay at WEX for so long? Standing still is not in our DNA, and that fits with who I am. When we went public and I was the CFO, the company’s market cap was $720 million. Today, it is over $7 billion. We’ve gone from being in one product primarily in the U.S. to a much more diverse enterprise with global operations. What impact does your work have, beyond WEX? My responsibility is to use the platform I have as CEO to help foster growth in communities. Our employees give time, we give money, and we are creating an environment where people don’t just care about one another, but also about making sure the place we live in is thriving. That gives us all a sense of purpose. Be incredibly open to people telling you that you’re wrong—which happens to me with some frequency—then move from that point into something that may be even better. What role models did you look to when developing your leadership skills and style? My mother was my first role model; she had a career, as did my grandmother before her. I come from a long line of strong women, and my mom taught me to be willing to try. She felt strongly that women should be able to support themselves and is a huge advocate for the importance of education. I think the key is to form a relationship with those you can learn from. Be willing to share and seek advice.